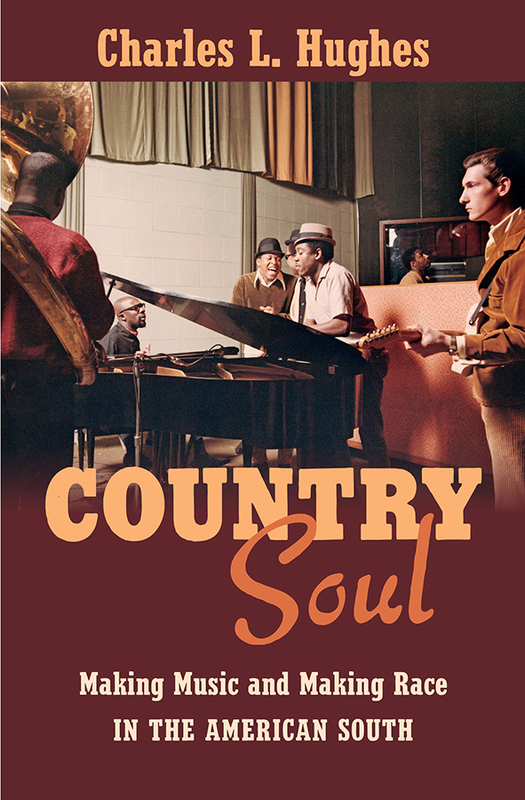 Charles L. Hughes, author of Country Soul: Making Music and Making Race in the American South, talks about the transformative power of the “country-soul triangle.” Be sure to listen to the free Country Soul Spotify playlist below to accompany your reading! Gina Mahalek: What is the “country-soul triangle”? Where did that phrase come from, and why is it so appropriate? Charles L. Hughes: I developed the term “country-soul triangle” to refer to a network of recording studios in Memphis and Nashville, Tennessee, and Muscle Shoals, Alabama. At legendary places like FAME and Stax, black and white musicians produced a wealth of classic recordings in the 1960s and 1970s. Each city had its own successful scene, of course, but I’m interested in exploring the many connections between them—sounds and players traveled back and forth between these three cities, leading the triangle to become a center of the era’s music industry and turning each city’s signature “sound” into an internationally recognized symbol of quality. Musicians in the triangle recorded with a wide variety of artists, but they were most associated with country, soul, and their stylistic blends. So it felt appropriate to term it the country-soul triangle. GM: Who are some of the prominent artists who recorded in the country-soul triangle that you talk about in the book? GM: Although you talk about many of the famous artists who recorded in the triangle, you focus primarily on the behind-the-scenes musicians at these studios. Why did you choose this approach? GM: You suggest that these musicians, and the music they created, weren’t just important to the history of popular music. You also suggest that they had a significant effect on racial politics in the United States. What can the country-soul triangle teach us about this crucial period? CH: Both country and soul were closely identified with the era’s tumultuous racial politics. Soul was presented as the soundtrack of black America in the period of civil rights and black power, while country became known as the authentic voice of the white working class and the accompaniment for the rise of the conservative “New Right.” At the same time, they were produced in interracial contexts, and the existence of integrated studios was heralded around the world as a sign of integration and progress. I’m fascinated by this contradiction, and I wanted to examine how the musicians helped to shape it throughout this period. Their stories demonstrate the complexity of music’s role as symbol and mechanism of political change in the 1960s and 1970s. GM: Many readers of Country Soul will be familiar with the 2013 documentary Muscle Shoals. What is your own personal response to the film? What do you think it got right, and what else would you like fans of the movie to know? GM: How did you get interested in this topic? GM: What’s the most surprising thing you found in your research? CH: I’d say there were two major things. First, I was surprised at the extent of R&B/soul’s influence on all sectors of country music. I was certainly aware of the impact, but it’s truly remarkable to explore how significant black music was to country, right up through the days of disco. As I explore in the book, soul music (and its creators) were central to the way that Nashville producers, executives, and musicians made and marketed country music. Both “mainstream” and “outlaw” artists used soul music as a way to keep their music creatively exciting and culturally relevant. Secondly, I didn’t initially realize how much the triangle’s musicians were responsible for the creation of the narratives that characterize how we understand the triangle and its impacts. The notion that integrated recording studios were symbols of the civil rights movement, or the idea that country and soul were polar opposites, weren’t just the product of writers and fans. They were crucial to the working lives of musicians in Memphis, Muscle Shoals, and Nashville from the very beginning. When I realized that, I began to understand the true richness and complexity of this story. GM: How do you see the legacy of the country-soul triangle playing out in today’s popular culture? CH: Musically, there continues to be a deep stylistic overlap between country and soul. Some of the biggest country stars of today utilize the sounds and songs of R&B, while many contemporary soul and hip-hop artists (particularly from the South) bring the characteristics of country onto their records. Then there are the folks in the middle—many of whom, like Jason Isbell or Valerie June, are from the triangle—who draw from both traditions and blend them together in new and interesting ways. It remains one of the deepest wells of American music. Culturally, the country-soul triangle has had a huge effect on how we think about race and racial history. On the one hand, country and soul continue to symbolize the U.S.’s racial divisions. Illustrating the creative and commercial relationship between country and soul—and the musicians who produced them—is crucial to complicating that idea and demonstrating its limitations. On the other hand, we’ve also made the connections between country and soul—and, again, between the musicians who make them—into a central story of racial reconciliation and healing in the post–civil rights era. The stories of Stax Records, Muscle Shoals, and other triangle stories are routinely held up as historical examples of racial breakthrough and models of racial reconciliation. This also needs to be complicated. The collaborations that took place in the country-soul triangle were a historical phenomenon that arose from a certain set of contexts, reflected a specific set of circumstances, and—most importantly perhaps—didn’t have equal benefits for both races. In a very real way, the story of the country-soul triangle doesn’t have a happy ending, and I think the romance and mythology that often surrounds this story is indicative of a broader distortion of our racial past and present. In Country Soul, I’m trying to expose and illustrate how that happened and what it meant. GM: If you had to pick a definitive recording from the country-soul triangle, what would it be? CH: There’s so much great music—it’s really hard to narrow it down! I think that, if I had to choose, I’d go with the Staple Singers’ “I’ll Take You There” from 1972. It was released on Stax Records, at the moment when the Staples became one of the label’s biggest artists and a symbol of their commitment to civil rights and black power politics in the early 1970s. Beyond this, it directly references the musical and political developments of black America in the early 1970s—with its politicized lyrics and reggae-influenced arrangement, it’s a perfect statement of soul’s cultural impact. Still, it was recorded at Muscle Shoals Sound Studios with an all-white rhythm section that had played on many of the Shoals’ biggest soul hits of the 1960s and was regularly employed by Stax. So it represents the racial contradiction at the heart of the country-soul triangle, as well as the remarkable talents of its musicians. Finally, with the success of songs like “I’ll Take You There,” the Muscle Shoals musicians started to get increased attention from rock, pop and country artists who looked to the Shoals as a place to make authentic soul music. This led to a fundamental shift in the triangle’s recording economy, which I also trace in the book. For all these reasons, the song perfectly represents the transformative power of the country-soul triangle. GM: Who’s the most underappreciated artist from the country-soul triangle? CH: It’s difficult to say, especially because so many musicians recorded in Memphis, Muscle Shoals, and Nashville during these years. There are a lot of folks who never achieved any commercial success but still made some tremendous recordings. Still, if I had to pick one who hasn’t achieved the fame they deserve, I’d pick Jerry “Swamp Dogg” Williams. Williams has certainly earned acclaim, and he continues to perform and record, but I don’t think he’s received his due credit as both a fantastic artist and an important individual in the country-soul triangle. His records (both as Swamp Dogg and as a songwriter/producer for other artists) symbolize the triangle’s musical richness. He was strongly influenced by soul, country, rock, and blues, and his records are filled with songs that directly addressed the political issues of the day. Also, his extensive work as a songwriter and producer—which included a song called “She’s All I’ve Got” that became a huge country hit for Johnny Paycheck—demonstrates the ease with which triangle music professionals could travel between genres. At the same time, Williams never broke through to success as a performer, which seems sadly reflective of an environment when white artists had greater freedom to experiment and still achieve mainstream success. He’s a crucial figure in the book and one of my favorite artists. GM: Do you have a suggested playlist for someone reading your book? CH: There’s so much great music from the country-soul triangle—it’s really hard to narrow it down! I’ve put together Spotify and YouTube playlists that accompany Country Soul. These playlists are composed primarily of music that I reference in the book, but with some additional suggestions of artists and songs that I didn’t directly address. Additionally, there are so many artists and recordings that I didn’t have time to address in the book or include on the playlists, that I’d encourage anyone interested to do their own exploring. There’s an endless well of great music from the country-soul triangle—it’s one of our greatest cultural treasures. 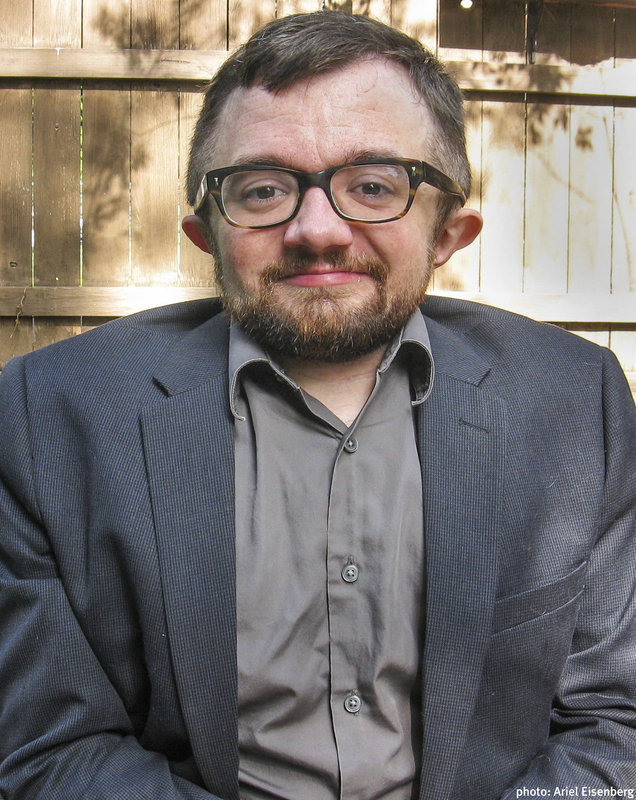 Charles L. Hughes is assistant professor of history at Oklahoma State University. His book, Country Soul: Making Music and Making Race in the American South, is now available. Follow him on Twitter @CharlesLHughes2.